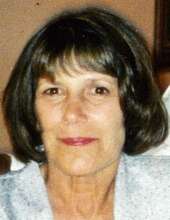 Velma Sue Bigley, 71 of Westfield Twp., Ohio passed away Sunday, March 17, 2019 at Akron General Medical Center. She was born April 29, 1947 in Elkins, WV to Custer and Vera (Casto) Ogden. She grew up there before her family moved to Medina in the mid 1960’s. Velma had resided in Lodi most of her life. She was employed by Rubbermaid in Wooster for over 35 years, before retiring 8 years ago. She was a coach and had also served as president of the Lodi Softball League for a number of years. She was an avid Cleveland Indians fan, but her family was above all else, her greatest joy. Many nieces and nephews, and great nieces and nephews. She was preceded in death by her parents, sister, Helen Sovol and nephew, Glenn Lee McIe. Visitation will be held Wednesday March 20, 2019 from 6:00 PM to 8:30 PM at Parker Funeral Home, 210 Medina St., Lodi (330-948-1122). A graveside service will take place Thursday, March 21 at 11 AM at Woodlawn Cemetery in Lodi. Pastor Joe Williams will officiate. In lieu of flowers, those wishing may make contributions to the family for Velma’s cemetery memorial. "Email Address" would like to share the life celebration of Velma S. Bigley. Click on the "link" to go to share a favorite memory or leave a condolence message for the family.